Our interview with Joe Breeze, considered by many to be one of the the fathers of MTB. For over 50 years Joe Breeze has shared his passion for bicycling. Born in California in 1953 at perhaps the nadir of cycling in the US, Breeze was logging 100-mile rides by the time he was 12 years old. He was soon riding and racing in western US states and touring Europe by bike. He took up frame building in 1974 in an era of cycling resurgence, and was part of the Marin County, California crew that developed the mountain bike. He built what are widely considered the first modern mountain bikes. His 1977 Breezer #1 is now enshrined in the Smithsonian National Museum of American History in Washington, DC. Breeze continued to produce road and mountain bikes for the next two decades and then in 2001, having spent years advocating for bicycle transportation, he jump-started the US transportation bike movement by designing and producing a line of Breezer bikes equipped for transportation. In 2008 he sold the Breezer brand to Advanced Sports International, and still designs Breezer mountain, road and transportation frames for the company. 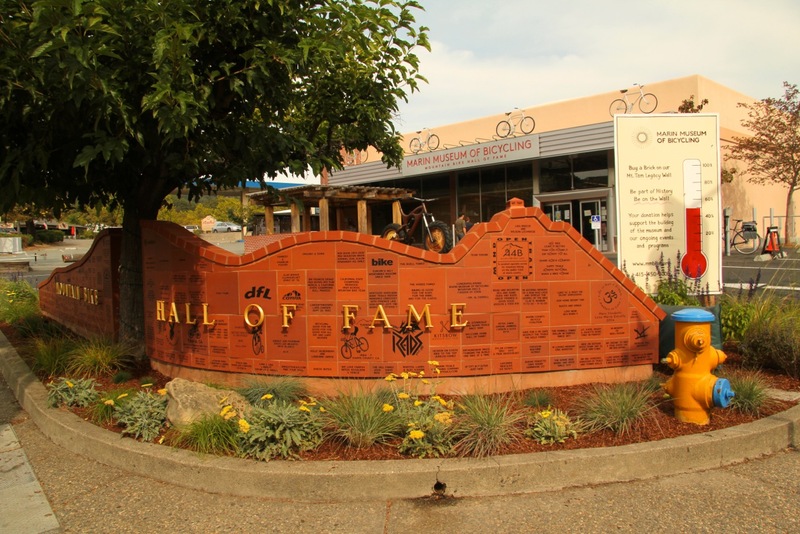 In 2015, Breeze and friends opened the nonprofit, all-volunteer Marin Museum of Bicycling, where he is curator. Left to Right – Joe Breeze, Otis Guy and Marc Vendetti, founders of MMB. Joe Breeze: Repack was the very crucible of mountain biking. The infamous Repack events, 24 downhill time trial races mostly in the late 1970s, were the magnet that regularly drew all us crazy kids together to share our passion for the new fat-tire bike. Word from Repack soon spread beyond our bounds, inspiring others far and wide. 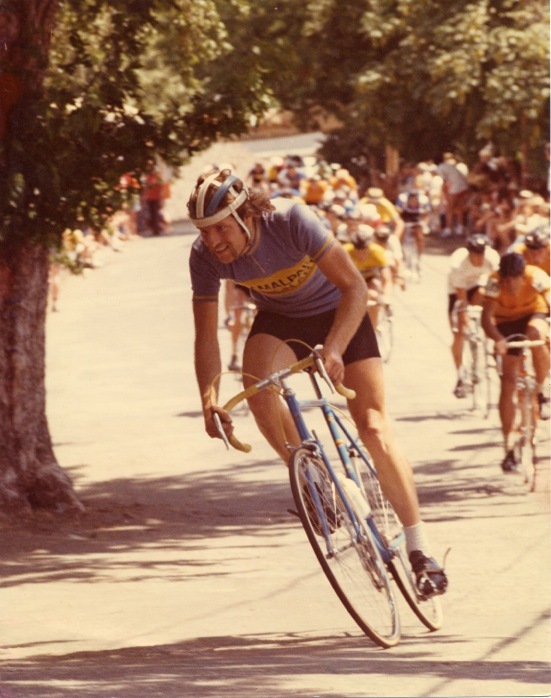 Joe Breeze: At a time when cycling was pretty much a secret in the US, with bikes viewed as sidewalk toys, the fact that my father rode one to work and also did road rides through the beautiful hills of Marin, gave me a glimpse of the wide world of cycling. He was a machinist and an important teacher and mentor for me. I was soon helping to spread the word, and riding with others far and wide. I started road racing in 1970 and started building frames in 1974. Joe Breeze: My first bike of my very own (not borrowed) was an English 3-speed made by Raleigh. That was in 1962, when I turned 9 years old. Joe Breeze: My favorite thing comes from the fact that the bicycle is the most efficient mode of transport ever devised. Per calorie burned, a bike is our swiftest steed—it takes us the farthest for our effort. It’s that swiftness that puts the smile on my face as I fly down the road. That’s the joy at the heart of cycling. And of course cycling is clean, sustainable transport. Sustainability got a lot of us interested in road racing, and was the glue that held the mountain bike movement together. We all knew cycling was a positive force, worth devoting our lives to. Our sport’s “ball” was a lifelong healthy tool for everyday life. Joe Breeze: In road racing it was my 13th place in the US National Championships in 1977. In off-road racing it was my 10 victories at Repack. Joe Breeze leading the field at Nevada City 1977. Joe Breeze: I’ve always lived in Marin County, so certainly I get together with many long-time friends. Many are involved at the museum, which is volunteer run. 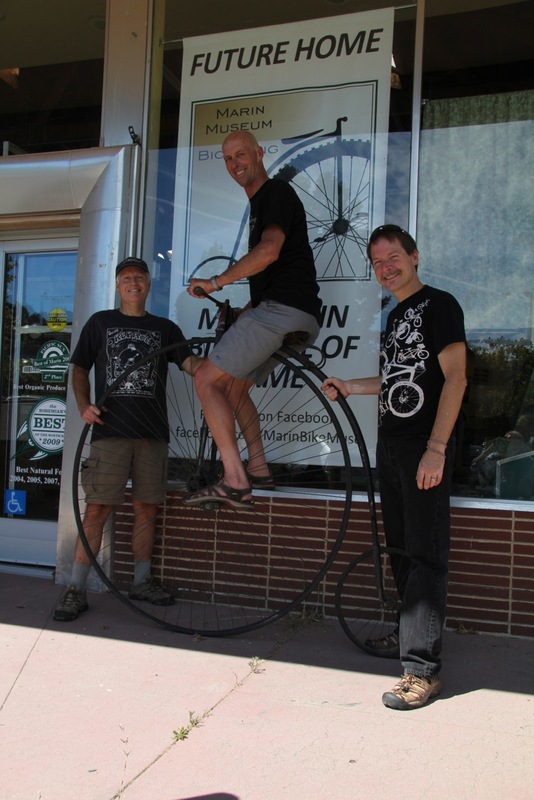 Museum co-founders Otis Guy and Marc Vendetti are my best riding buddies from Velo Club Tam and early fat-tire days. Nearly every day, a Velo Club Tam alum is on hand at the museum. Charlie Kelly is among the regulars. Joe Breeze: Being color blind, I thought that was a good shade of grey. Honestly, I’m a fan of blue with a dose of red. Joe Breeze: I love all that stuff. OSMTB: Is your garage filled with retro goodness, or are you a one bike man? Joe Breeze: I just got back from a morning commute on my Breezer town bike. It’s my car. Every ride seems to end with me thanking Shimano for their brilliant Nexus hub. For mountain biking I’m on a Breezer Supercell 160 fully 29er, my favorite mountain bike to date. Most of my rides lately are on a Breezer road bike, especially this winter of boggy trails. Joe Breeze: The 2012 Breezer Cloud 9. I do love my Breezer spear paint jobs of the 1990s, but those created too big a distraction from my frame structures. I found that when an advanced bike has a classic paint job, it gets called retro despite all of the innovation going on underneath the paint and decals. Joe Breeze: Anything that becomes popular runs the risk of losing passion as people flock to it solely because it’s a thing to do. But cycling has a way of making true believers. It’s effort with reward. So no, this feeling will never get old. I love seeing the joy in the riders out there, people of all ages. Joe Breeze: I ride most every day. It’s how I get around. On top of that are rec rides, mountain and road. A hundred miles a week is a good week these days. Joe Breeze: I think my most memorable rides have been in Europe, epic Alpine passes. But riding out my door is special in its own way. Joe Breeze: Designing frames for Breezer is my day job, and I’ve also been working on the museum a lot for the last few years.